What's the deal with EMV for Restaurants? EMV cards (otherwise known as “Chip” cards) are the way of the future. If you haven’t seen them already, you will soon as merchants are required to start accepting EMV transactions in October of 2015. For many retailers, this transition will be easy and smooth. Instead of swiping a credit card, you’ll instead “dip” the Chip-card into the slot in the front of your terminal, and the sale carries on like normal. But for merchants who accept tips, the EMV switch could cause a change due to security requirements. Only a few terminals are currently certified to adjust tips for EMV transactions, so it’s important you have the most up-to-date hardware. Since EMV is a new technology, not all terminal manufacturers have certified all aspects of EMV acceptance. For example – many terminal manufacturers are certified to accept simple EMV sales, where the authorized amount is equivalent to the settled amount. As you can imagine – restaurants often settle transactions at differing amounts than their authorization due to tips. So, it’s important that you purchase a terminal that allows for tip adjustment on EMV sales! Only a few have this capability right now, so make sure you purchase a terminal that allows for tip adjustment if you intend to take payments at the table. 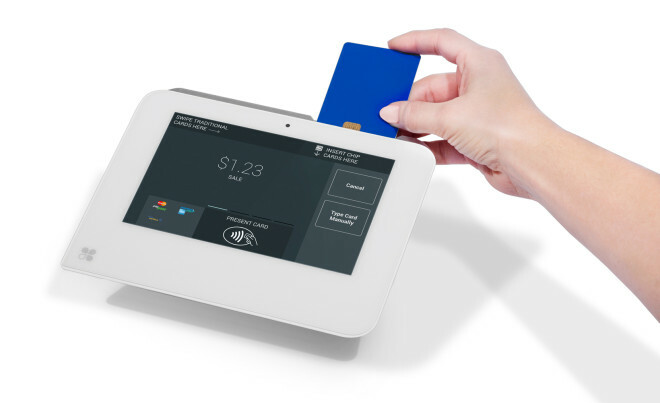 Dharma recommends the Verifone Vx520 terminal, FD-130 terminal and Clover Mini. If you operate a sit-down restaurant, chances are that your guests are used to paying at the table. This presents a challenge for EMV sales, since many terminals don’t currently allow for EMV tip-adjustment. 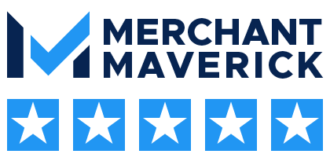 For this reason, many merchants have chosen not to upgrade yet. But with Dharma, we offer many different solutions that allow for EMV Tip-Adjust, such as the FD-130 terminal and the Verifone Vx520 terminal. They are two of the few terminals that allow for tip-adjustment as well as Chip+PIN acceptance. That’s the most secure form of EMV. Chip+PIN for transactions where your customer is present at the terminal. PIN-Bypass: if a PIN is requested, easily “override” the PIN request by asking the issuing bank to run as Chip+Signature. The issuing bank keeps the liability, and you can still adjust the tip later. 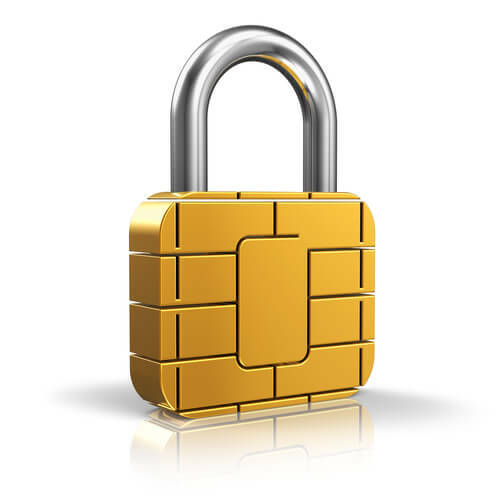 EMV Tip adjustment. Adjust your sales at the end of the day, just like you do with old magnetic stripe cards. With the FD-130, you can use the WiFi connection to place the terminal in a central location in the restaurant, without the worry of too many wires. All you need is a power source. The FD-130 provides a true solution to the EMV problem many restaurants have. Learn more here. Accept any kind of transaction – EMV, Pin-Debit, Chip+PIN, and Apple Pay. Accept tips however you’d like – either on the device during the sale, or on a printed receipt that you can later adjust. Clover makes it simple to edit tips – just quickly scan the barcode on any receipt (using the built-in camera) to instantly call-up past sales to enter tips, or see all “open tips” from a single screen. Easy-to-create reporting with detailed breakdowns. Touch screen with front-facing camera. Connects via Ethernet or WiFi. The merchant will input the base sale amount in the credit card terminal sitting behind the counter. The customer will be prompted on the PinPad to enter their desired tip amount. After entering the tip, the customer will be prompted to swipe or dip their card through their customer-facing device. After the sale is authorized, the customer will be prompted to remove their card and a receipt will print from your base terminal. 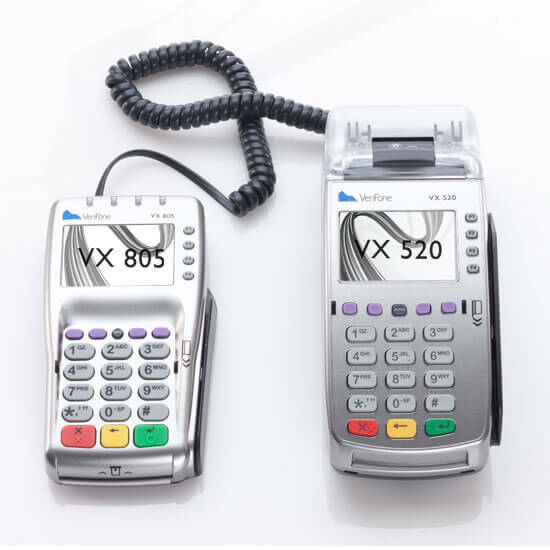 The VeriFone Vx520 terminal and Vx805 customer-facing PinPad are fully EMV compliant, and also accept NFC (Apple Pay) payments as well. This is a perfect solution for countertop merchants who wish to accept tips! Watch a video of an EMV sale with tips on a Vx520, or watch an EMV sale with tips on a Vx520 + Vx805 to get a better idea of how this works.